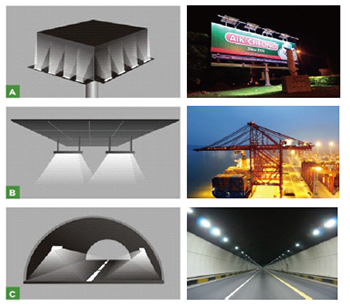 BWL-TLA series LED Tunnel Light is comply with national technology standards, perceived to be easier on the eyes. Not only be the finest optimization design for energy efficiency, and also solve some security problems in tunnel area in virtue of tunnel lighting design. ● With the dedicated design of lens for tunnel. 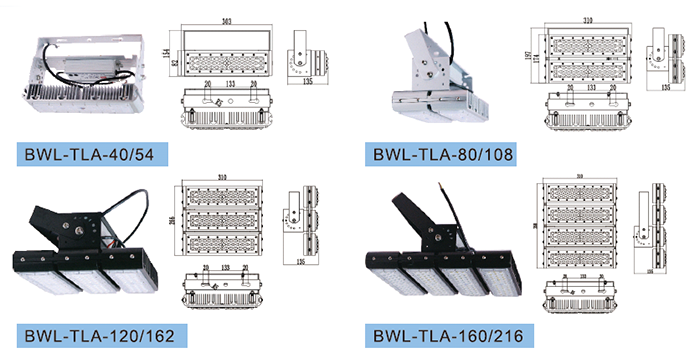 BWL-TLA series LED tunnel lights is lower electric consumption and more efficient than other LED tunnel lights. ● Surface anodized handle, against corrosion attack. And heat sink uses 6063-T5 aluminum aim at faster cooling. ● The excellent corrosion resistance enhances the security, increasing the time of normal running and control the running costing. ● Using silica gel ring sealing technology, protection grade reaches IP68, completely prevent dust intrusion, torrential rain nor water penetration. ● Circular arc edge protect the hand, line is concise and lively, silver appearance, temperament elegant high-end. ● Uniform plate cast light, light area is large. Extensively applied in the tunnels such as railway tunnel, subway,road tunnel, railway culvert and others. And usually apply for flood lighting in factory, warehouse, stadium etc. Furthermore, these area needs the outdoor lightings,such as the urban landscape, advertising board, building and so on. The MidnightPapers interview was really friendly and casual.